paul gregutt's washington wine blog – unfined & unfiltered: b-griff turns 30! Congratulations are in order for Rob Griffin and Deborah Barnard, whose Barnard Griffin winery is celebrating its 30th anniversary. In terms of Old World winery lifespans this is just the blink of an eye, but here on the Frontier it’s a wizened, grizzled veteran, a veritable pioneer. Rob Griffin’s experience in Washington goes back even further, to the spring of 1977, when the newly-minted UC Davis graduate was hired to make wines for Bill Preston. Those early, Griffin-made Preston wines upped the ante for the winery and indeed the entire state. His 1977 Preston Chardonnay was awarded Best of Show at the Seattle Enological Society's Northwest Wine Festival – at the time, the most prestigious judging event for the region’s wines. Shortly after Barnard Griffin was founded, in 1983, Rob was hired by the Hogue brothers to be the winemaker and General Manager at their start-up winery. That lasted until 1991, when he and Deborah turned their energies fulltime toward their own winery. Slow but steady growth, a strong commitment to value, and a talent for making delicious wines that consumers love at first sip have been B-G hallmarks. A Richland winery and tasting room opened in 1996. Recently expanded and renovated, it welcomes visitors with live music on the weekends, and a new Bistro Wine Bar. The winery is one of the largest family-owned operations in the Northwest. It’s the rare winery that can offer quality, quantity and value across a dizzying number of wines. Overall production is up around 75,000 cases. The White and Red Tulip Label wines will be most familiar, notably the aromatic Riesling, the iconic Fumé Blanc and the luscious Chardonnay. Of special interest is the Rosé of Sangiovese, a Reserve-tier wine that has been awarded Gold or Better at the San Francisco Chronicle's Wine Competition for the past seven years in a row. On several occasions it has been named Best of Class and given a rare Sweepstakes award. Much more limited are B-G’s other Reserve wines, with their distinctive diamond-shaped labels. They are sourced from some of Washington’s best vineyards, and generally over-deliver for their pricepoints, which run from $12 (for the Rosé and Pinot Gris) up to the high $30s for some single vineyard reds. Griffin may hold the record for length of time making Washington State wines. Leonetti started in 1978, Quilceda Creek in 1979, and both wineries are now being guided by the second generation. At Barnard Griffin plans are in place for that transition as well. Gorgeous aromas of peach, pear, flower and spice highlight this wine right from the start. There is an exotic, floral flavor running alongside the tree fruits, and suggestions of mint and rosewater. Complex fruits, including apples, citrus and yes, coconut, add up to a wine both sleek and satisfying, with toasted almonds rounding out the finish. There’s plenty of fresh, ripe tree fruit goodness here, along with citrus streaks of lemon, lime and grapefruit. The acidity is what gives it extra lift and verve. This lush take on rosé is bursting with pretty cherry fruit, light touches of brioche and fresh-baked rolls, and a finishing kiss of spice. A brightly fruity wine with tart red and purple berry flavors, and hints of café mocha in the finish. Well-integrated layers of citrus, berry, roasted coffee beans, vanilla cookie and Graham cracker combine into a most accessible, yet complex wine. It’s ready to drink, and should be consumed over the next three or four years. 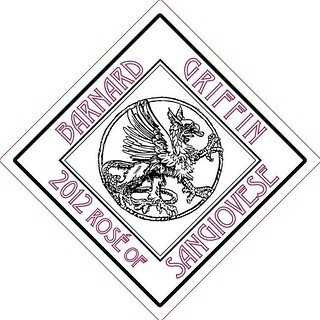 The Barnard Griffin winery and tasting room are located at 878 Tulip Lane in Richland.